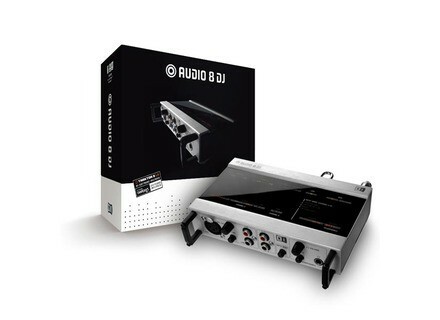 Audio 8 DJ, Audio Interface for DJ from Native Instruments. I use to live dj'ing. The cables are a little broken head Chinese DEFINITIONS beginners but everything is simple and Designed for failing to plug and unplug each benefits thanks to 7 points XLR male-female hyper practices. Connect the sound card in 30 seconds. The big diffrence from FinalScratch 2 is that PC owners like me can have their card Self-powered via USB port. Previously it was a possder MAC, single platform with a firewire 800 to power the FinalScratch 2. A cable plug it in less apprciable. The drivers are stable. German software NATIVE INSTRUMENTS work well. I use the fusion of TRAKTOR 3.3 and TRAKTOR SCRATCH. It really works! I can not express the latency in terms of number but I know I rgl at least, I scratch a lot in my sets and I had no dcrochage. I use it for several months. 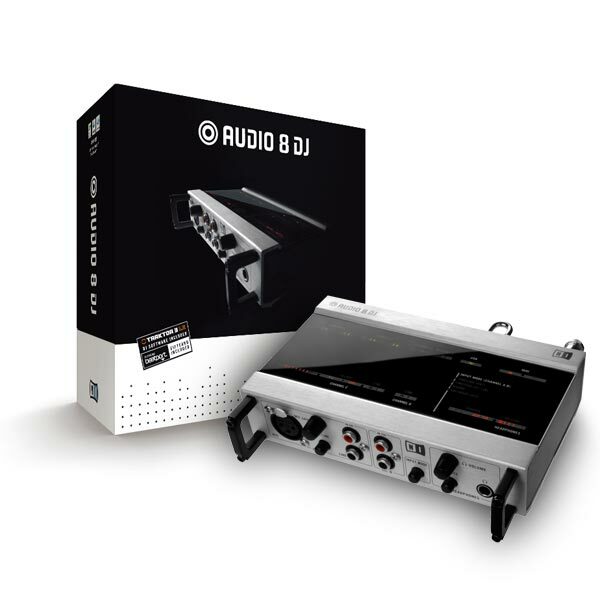 I have not tried other models from competitors, I trust this NATIVE INSTRUMENT ct l.
Use with Traktor is a big plus and the large number of inputs / outputs. Mainly in mobile disco and use of timecodes. I have not tested with Windows. I use it mainly with Traktor 3 LE configuration is done alone. on the other hand with mixvibes is a little hassle. Only the PDF manual supplied with the software is complete. I have not had to worry on that side. We can even disconnect the card back in operation and it works without problems. What is not always possible with some cards. The case is super strong! the ultra-low latency. I never got it to work properly. I happened gallery for even an hour to set it up at a party! Finally a system that can be trusted at a party! You plug it work now! happiness! The requirements to use in Traktor timecode. I did not have much choice, traktor both the software I use for a packet dja time, I saw no change, so I buy this card its eyes closed. 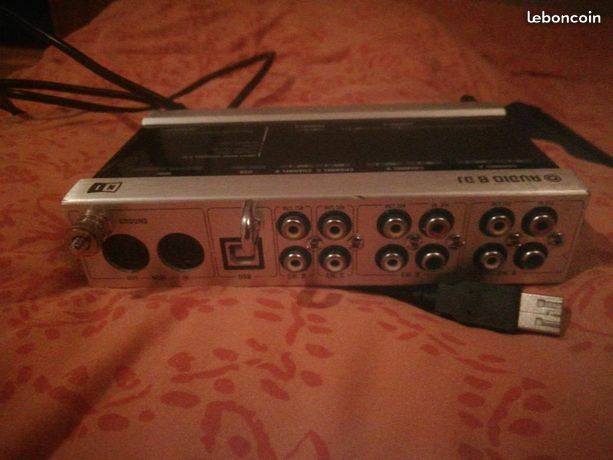 1 XLR input on the front, a little gadget, but still useful, its power can use it as a sound card, and not as a sound card just to use Traktor for timecode vinyls. An output jack for headphones, too asser gadget as in good logic, that of using the mixer. 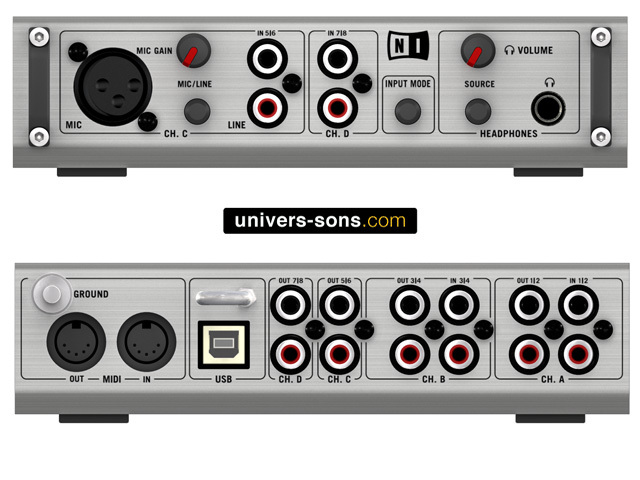 And then 8 RCA inputs and 8 RCA outputs for vinyl, CDs or scratcher (well then you plug what you want it). Native Instruments makes it hard on this point. 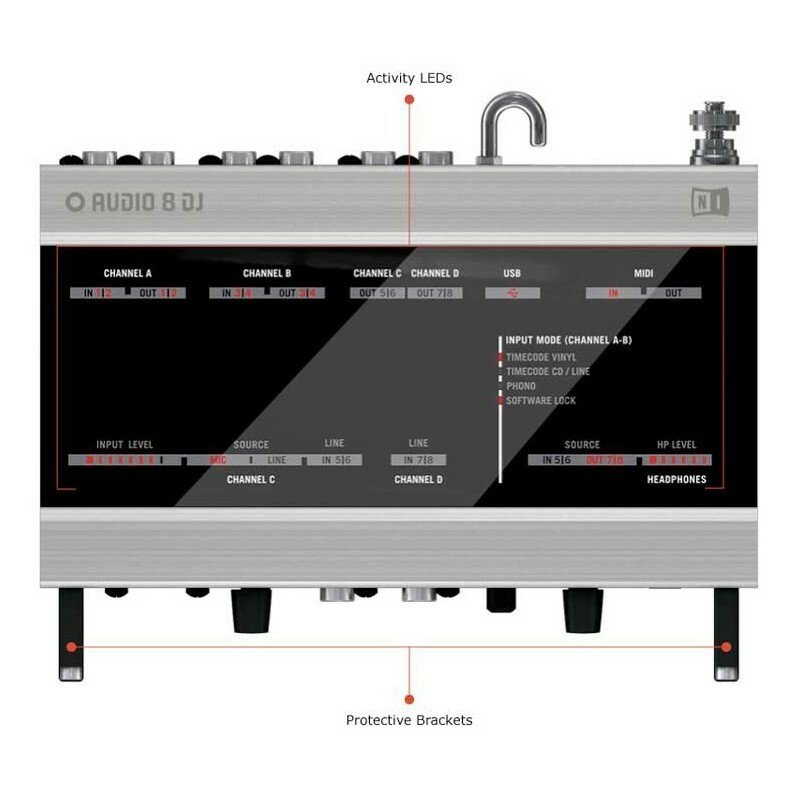 Audio 8 is probably the sound card with the fastest installation, technical problem never, software, or other. The connections are also a childlike simplicity. If you use the Native Instruments cables for the connections table and platinum mix, well ... There's just follow the colors, not more complicated than his. No, never, yet I test on all operating systems as possible, XP 32 or 64 bits, no problem, Vista 32 or 64, idem, Windows 7 32 or 64 bits, same fight Linux? ... No problem too, passes on asio drivers worry free, while God knows how it can be to run a Linux driver asio without shooting. (In Ralite is THE FIRST sound card that works directly on Linux, without my config anything of prcis). Nothing is more stable, it never crash, and I think they never will plant. 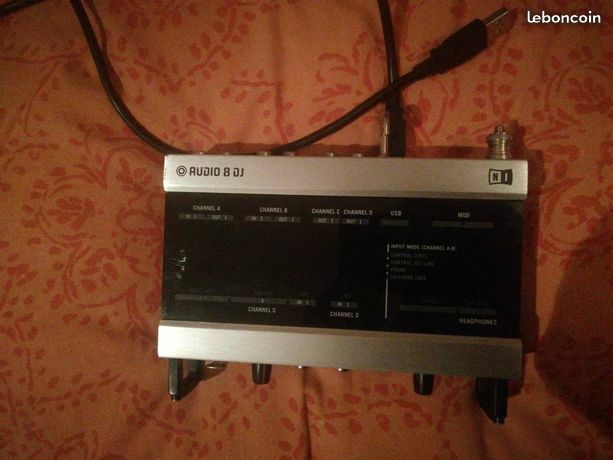 And I do not always friendly with k'audio trs t 8, I happened to unplug in full operation, and just reconnect APRS, and although nay, a After plugging it back directly, traktor indifrent left. Ever blue screen on windows, I prcise asser because it is common for drivers audio blue notches produce more violent changes of bitrate, or latency. Relatively yes, another cot she did not specially need the drivers today are so stable, the days are only put added functions in the interface configuration, nothing more. Traktor. Love me but it happens to use it with Ableton Live, or reaper, it is still the trs good job. Traktor in 1.5ms, no crpitements, lag or whatever, ultimately it's the most difficult track of the time it ordindateur, not the sound card. Since a year or so. Most is his strong body iron is made to withstand many shock, native Besides, this point put forward on the site. Admittedly, it is important for the use which it is intended. This means often be carried through Dj mix. The ratio quality price is about right, it could be less CHRE, but the Native Instruments, not give. But there are some against the solidity and stability cot practice, and only because there is no equivalent for Traktor (normal, NI are not crazy). - The configuration interface of the ASIO driver is missing setup my taste, I love the possibility to route the output via a virtual mixer, unfortunately we freeze out the use of basic. That said it's not too late to do so. - A little too perfect, how NI will they do to release a new version ... lol.